Thousands of years ago there was a king named Janaka. He had attained the highest position in a peaceful and prosperous society, with a vast knowledge of life. But even then he was restless and wanted to know more. One day an enlightened Master named Ashtavakra arrived at Janaka’s court. What unfolded, says H.H Sri Sri Ravi Shankar, was “the most unique conversation that has ever taken place on this planet.” The text of this interaction has been passed down for centuries as the Ashtavakra Gita. The Ashtavakra Gita occurring in the Vana Parva of Mahabharata, is a profound enquiry into the nature of the Self and reality. 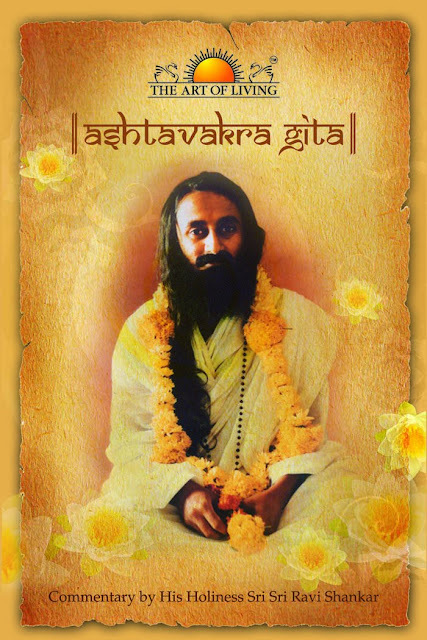 To avoid any wrong understanding by the unprepared minds, it is traditionally recommended that Ashtavakra Gita be pursued by only those who have practiced meditation and are already on the spiritual path.